Once you learn how to bake sourdough bread, far from never buying a loaf again, there is a real joy in celebrating other bakers sourdough, and if you are new to sourdough and want to find out more about it before you commit to learning how to then pop along to your local artisan sourdough baker. Almost every baker I know is happy to tell you more about their baking, flour and process. Sales of sourdough bread are increasing as more and more shoppers are looking for a tastier and healthier alternative to bread produced using fast, Chorelywood fermentation methods. There are many commercially produced loaves on sale that are called sourdough that are not actually sourdough. This is because the flavour and process both use the same word. 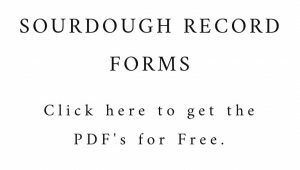 So if you are someone who finds sourdough easier to digest differentiating between sourdough flavour and sourdough is essential. I’ve previously written about of some of my favourite sourdough bakeries, but there are many more across the country producing wonderful bread. Here is a further list of some of the bakeries, large and small, where skilled bakers are making sourdough loaves that come highly recommended by their customers. A family run business, baking through the night to produce fresh bread for shops and markets in the Cambridge area. They bake a white sourdough, a malted 4 grain, whole spelt and a dark rye loaf flavoured with molasses and caraway. All the sourdoughs are made using organic flours. Their signature loaf is the Cambridge loaf, made with a blend of brown flours milled at Foster’s Mill in Swaffham Prior, from wheat grown at the National Trust’s Wimpole Hall Estate. The two sourdough starters used in the baking, a wheat and a rye, are almost a part of the family. They are even taken on holiday when the bakery has its annual break, so that they don’t miss out on their daily feed. You can find Cobs Bakery’s organic sourdough loaves at stockists throughout Cambridge and at local markets. They also supply restaurants and some of the university colleges. With a range of sourdoughs covering white, rye, brown, seeded and more, the family run Pump Street Bakery has become established as a café and bakery worth visiting. The walnut and cherry loaf has been popular with customers since the bakery opened, apparently the secret is in the quality of the sour cherries and nuts they use. Flour is sourced from a range of suppliers, including the local Maple Farm in Suffolk where locally grown wheat is milled. The sourdough starter used in the bakery came from an American baker, and is fed almost daily. The bakery is happy to share some of their starter with other keen bread makers. If you don’t live near enough to Orford to make this your local bakery, there is the option of ordering bread through their website for overnight delivery. Each morning, the bakers at Two Magpies Bakery in the pretty Suffolk seaside town of Southwold are busy making a range of loaves for the shop and café. Development baker David Nizi changes the menu of loaves on offer to reflect the seasons, but sourdough is always incorporated into the breads to add flavour and improve the keeping qualities. The bakery’s sourdough starter came from a friend at the School of Artisan Food some years ago, and is believed to have originated in San Francisco. It is used to produce the award winning fig and fennel sourdough, and Magpie sour – made with a mix of white, wholemeal and rye flours from Marriages in Essex and, like all the bread made at the bakery, fermented for at least 24 hours. The café opens on Saturday evenings to serve sourdough pizza. And they take pizza very seriously – the dough is given 48 hours to ferment, producing a perfect base for the innovative range of toppings on offer. Head baker, Andrew Smith, is passionate about producing high quality bread using local ingredients wherever possible. 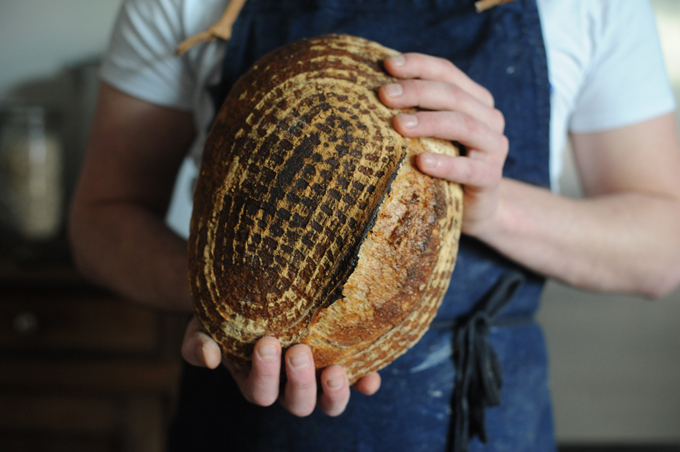 He bakes his signature loaf, the Gilchesters’ Miche, using flour from heritage grains grown and milled in Northumberland The loaf is in the style breads made popular by Lionel Poilâne and weighs in at an impressive 1200g. The sourdough fermentations are tailored to the doughs being produced, with many being retarded overnight and baked first thing in the morning. Andrew uses a rye and a wheat levain. Like many bakers, he thinks that a good sourdough culture comes from keeping it healthy and isn’t related to its age or origin. Both of the levains that he currently uses have been developed in the last 6 months. Bread and Roses can be found in local stores and restaurants, at farmers’ markets in Alnwick and Hexham, and at food festivals through the year. You could visit Baltic Bakehouse every day it is open through the week and buy a different loaf each time. Head baker Sam Henley is up at the crack of dawn to bake each day’s range of breads. The bakery’s signature loaf – the Baltic Wild, is available all week. This loaf has a holey crumb and a good strong crust, made using a wet dough and long fermentation. Most of the flour used in the bakery is sourced from FWP Matthews in the Cotswolds, but they also use Walk Mill in Cheshire, where flour is stoneground from wheat grown in fields surrounding the mill. Along with top quality ingredients, a long, slow fermentation is a feature of all the breads produced at the bakehouse. After a bulk rise of 3 to 4 hours, the loaves are left to prove overnight and baked from 5am. The bakery now has two locations in Liverpool. You’ll find Russell Goodwin, baker and founder of Companio Bakery, at Victoria Station on Tuesday and Thursday afternoons. He regularly bakes five different sourdough loaves, all with names inspired by the local area. Choose from Northern Rose, Ancotes White, Salford 5 Seed. Pennine Rye and Victoria Wholewheat. There’s also a rotating special – currently a potato sourdough made with roasted Maris Pipers and extra virgin olive oil. Russel’s sourdough cultures, a wheat and a rye, were developed as he was test baking and developing a business model for the bakery in the autumn of 2014. They are used to make long fermented (16-24 hours) sourdoughs which all include at least 20% flour from the local Yorkshire Organic Millers. 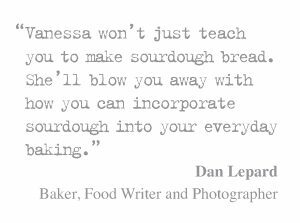 New for 2017 are bread making courses at the bakery, where you can learn to make your own delicious sourdough bread. The seasonal menu at Trove Café is complemented by some fabulous sourdough breads made at the bakery. The range of loaves includes a wholemeal, rye and fennel, date and walnut, and apple and sultana, but the most popular is the classic white sourdough. The bakery prefers to use a fresh, young levain in its doughs which, along with plenty of time (up to 48 hours), produces loaves with great flavour, crust and crumb. Flour comes from Shipton Mill and FWP Matthews. As well as buying the bread direct from the café, you can find Trove bread at a range of shops through the city. Based in an old electrical warehouse in East Dulwich, Brick House Bakery uses San Francisco style slow fermentation to produce award winning sourdough bread. Their signature loaf is the Peckham Rye, developed to give all the great flavour you’d expect from a really good rye loaf, but with the more open, chewy crumb of white sourdough. It was created by baker Fergus Jackson while he was studying at the San Francisco Baking Institute, and named after Peckham Rye Common which is just around the corner from the garage where Brick House started out. The bakery uses flours from FWP Matthews and Gilchesters and bakes a core range of sourdoughs, with specials like the chocolate sourdough and The Shackleton – enriched with oats, linseed and black treacle, popping up through the week. On a sunny day in Lewes, you can sit in the café garden at the Flint Owl Bakery and enjoy a sandwich made with their organic, additive-free breads. Every day the bakery makes ten or more different sourdough loaves. Choose the Miller’s loaf, created to make the perfect cheese and pickle sandwich, the wholegrain Miche, or the ever popular rosemary and flaked sea salt sourdough. The sourdough culture at the heart of all these loaves came from a bakery in the French Alps. But after a decade of living in Sussex, it’s now considered a local. Combining it with organic flour from Stoates Mill in Dorset and Shipton Mill, some water and a little sea salt, the bakery makes dough which is given 24 hours of slow fermentation, before being baked during the night. The bakery supplies not only their own café and shop, but other shops and restaurants in the area. Last summer saw Indigo Bakes start making bread in a converted shed near Basingstoke. By the end of the year, this fledgling micro bakery had been recognised at both the World Bread Awards and the Small Food Awards. The bakery specialises in sourdough bread and pastries. The breads include the Lillymill Wild Sourdough bread, which picked up a bronze award at the World Bread Awards, and the Lillymill White Sourdough which won a first prize at the Small Food Awards. Using flour from Stoates Mill and a good deal of care and time, the bakery supplies local farm shops and can be found a regular farmers markets in the area. Karma Bread Bakery is another micro bakery that outgrew its home kitchen and became established as a bakery and shop. While much of the press attention has been for the challah made by baker and founder Tami Isaacs Pearce (The Challah Queen), the bakery also produces some great sourdough. There are the regular sourdoughs which are baked every week – a white, a wholemeal, spelt & honey, and chia, sesame & semolina. Then at the weekend there might be chocolate and cherry sourdough, za’atar & black garlic, or the vibrant green spinach & garlic. The bakery uses two sourdough starters, a white and a spelt. They maintain them as stiff starters and replenish them each morning after the dough has been made. The dough is retarded overnight and baked in the morning. The fresh loaves are ‘always the first things to fly off the shelves’ says Tami. In his own words, Peter Towpik, was “born to bake a good bread”. A third generation baker, he uses traditional techniques and locally milled flour to bake a range of sourdough loaves. The white sourdough is the most popular, and Peter recommends the light rye to people who have never tried sourdough before. Wessex mill, also based in Wantage, supplies the bakery with wheat flours. In fact, the flour is a truly local product, with the grain being grown in fields near the mill. The sourdough starter used at the bakery is a little over six years old, and is refreshed every day. Bread is baked in the early hours of the morning and is available to buy from the bakery shop and at local markets, as well as being delivered, still warm from the oven, to local wholesale customers. Sarah Yates, head baker at The Flour Pot Bakery, believes firmly that to make the best possible bread you need the finest of ingredients. 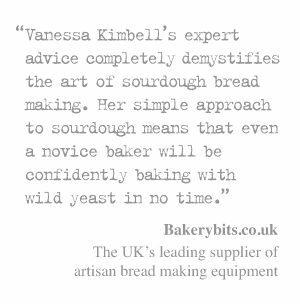 This is reflected in her choice of flours, organic and stoneground whenever possible, sourced from mills in Dorset and the Cotswolds, in the carefully nurtured sourdough starters used at the bakery and, most important of all she says, the team of highly skilled bakers she works with. The sourdoughs baked by the team for the shops in Brighton and Hove and wholesale customers, include a classic white, a brown and a seeded sourdough, all made using a stiff leaven. The bakery also maintains a liquid rye starter which is use in making a spelt loaf, stoneground loaf and a 100% rye bread. Looking to the future, the bakery is working with a Sussex farm to grow heritage grains, and plans to introduce a new range of breads using this locally grown crop. A bakery with a long history which is reflected in the traditional methods used for baking their breads, and in the glass cake cabinets and chrome shop fittings that date back to the 1950s.The bakery’s Pure Rye Sourdough won gold at the 2016 World Bread Awards and a 1 star gold from the Great Taste Awards. It’s also a customer favourite, with the dense texture characteristic of a 100% rye. All the loaves are handmade using quality ingredients and lots of time. Flour comes from Stoates, their local mill, and they use no artificial additives or preservatives. In addition to the award winning rye, the sourdough range includes a traditional white, a seeded sourdough and a spelt sourdough. You can buy Leakers Bakery bread from their shop in Bridport, from their stall at markets and food festivals, and from local stockists. A bakery and bakery school committed to making great bread for outlets in North Devon and Cornwall. The signature loaf at the Red Dog Bakery came about from an experiment to use up some leftover ingredients at the end of the baking year. Full of nuts, seeds and malted grains, the Harvest Loaf soon established itself as a best seller. The bakery’s sourdough mother is given regular feeds of organic wholemeal rye flour. Production starters are made from this using different flours, depending on the kind of bread they are going to produce. Doughs are made using flour from Shipton Mill. After a bulk prove, the loaves are shaped, rested, then retarded for 24 hours. The whole process from mixing to baking takes over 50 hours. Baking is timed so that fresh bread can be delivered to outlets and farmers markets first thing in the morning. The classic Bertinet sourdough is very traditional, with all the characteristics of a great sourdough loaf, and has been a favourite with customers for a long time. But the bakery is also keeping up with modern tastes and has introduced a sliced tin sourdough. They bake both their white and malted wheat sourdoughs this way, aiming to provide a healthy, additive-free alternative to standard sliced loaves. The bakery blends flours to get just the right mix which, along with their 20 year old sourdough starter, gives the breads a thick caramel flavoured crust and a great crumb with a little acidity, but not too much. The British taste is for a less acidic sourdough, and the Bertinet starter has been changed slightly over the years to cater for this. In addition to the classic, the sourdough range includes a malted wheat, seeded and rye sourdough and a rye with raisins. Bread can be bought from the bakeries in Bath, and through some branches of Waitrose. After apprenticeships at Tracebridge Sourdough, Fleur and Adam began baking at the White Post Bakery last April. They bake a range of sourdoughs, including white, wholemeal, Malthouse and a weekly special which might be fig and hazelnut or sprouted spelt. Their signature bread is the Country Loaf – a mixture of organic stoneground brown flour and stoneground rye flour. This produces a loaf that is lighter than a wholemeal, but still has plenty of flavour. The bakery uses Stoates organic stoneground flour to feed their starter and a mixture of Stoates and Shipton Mill flours in the doughs. Feeding takes place in the early hours so the levain is ready to use when the dough is being mixed later in the morning. After shaping and an overnight prove, the loaves are baked early the following morning in a wood-fired oven. You can call to order loaves for collection, or buy from the bakery stall at Wiveliscombe Farmers’ Market on a Saturday. Loaf began as a home bakery where Tom Baker was making loaves in a wood fired oven and teaching anyone who showed an interest how to make their own bread. This passion for real bread at the heart of a community has led to Loaf becoming a high street bakery and cookery school. Specialising in slowly made, wholesome breads they bake a range of rye and wheat sourdoughs, including a Borodinsky and a New York deli rye. The sourdoughs pair nicely with the lunchtime soups that are also available from the bakery shop. The bakery’s sourdough starter has local origins, and a small amount of it often heads off home with students attending the sourdough bread making courses at the cookery school. The rhythm of the baking process at Stark Farm Bakery is determined by the wood-fired oven that is used to produce all the bread. The dough is mixed in the morning and left to prove, being retarded if necessary, until the oven is ready at the end of the day. Baker Dan Barrow makes a range of breads for each market he sells at, but always includes three sourdoughs. These will be the Stark Farm Sourdough, a 30% wholemeal loaf, along with two others which might be a rye, raisin and fennel or a three seed sourdough. Dan prefers to use stoneground flours, which he gets from the local Yorkshire Organic Millers. The bakery’s starter is fed with a 50:50 mixture of white and rye flours. As an experiment, a new starter was created last summer to compare with the established one. This new culture is now gradually replacing the old. You can find Stark Farm Bakery at Ripon on a Thursday and at their pop-up shop in Easingwold on Saturdays. A pioneer of the community bakery model, The Handmade Bakery has been making bread using traditional methods since 2009. The bakery sits alongside the canal in Slaithwaite, and has long been known for its great bread. Take a seat in the café and watch the bakers at work while you sip on a coffee or enjoy lunch. 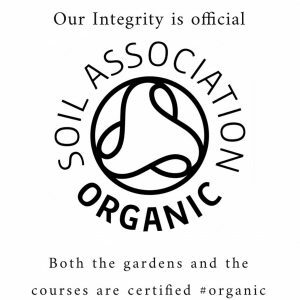 The bakery uses organic and local ingredients wherever possible. They prefer stoneground flours for the nutritional qualities and flavour. All the breads baked here are given an overnight fermentation. Sourdoughs include the Wild White and the Sisu 100% rye, which is made with a starter affectionately known as ‘the Grandmother’ – she originated in Russia over 30 years ago. There are also bread making courses on offer, with the wild yeast baking course giving you not only the skills needed to bake your own sourdough bread, but some of the bakery’s own leavens to take home. From a shop in Morningside, Jon Wood has turned his passion for additive-free, real bread into a thriving business. The bakery name reflects his approach to bread making – Andante means ‘at a slower tempo’. All of the bakery’s sourdough loaves are made with flour, water, salt and natural yeasts, nothing more. Local wholemeal flour grown and milled at Mungoswells in East Lothian is used at the bakery, along with other flours from Shipton Mill. The bakery uses four sourdough starters (white, spelt, light rye and dark rye) which are fed daily. The award winning Tryst sourdough uses a combination of rye, barley and wheat flour and is named to reflect the meeting of the three grains. The Covenanter’s Loaf is based on the white loaves that would have been made a couple of hundred years ago, before highly processed white flour was available. Jon says he likes the idea that the loaf might be something like the bread fed to the Covenanters who were hiding out in the Pentland Hills after the Pentland Rising. History and great bread all in one. Breadshare might be based in Edinburgh, but the sourdough starters used to make their breads have more global origins. They have a wheat starter that originally came from Paris, and a rye from Russia. The community bakery makes organic, slow fermented (minimum 24 hours) bread to supply their café and bakery shop in Portobello and shop in Leith. They bake a range of wheat and rye sourdoughs, including the Borodinsky, seeded rye and sourdough baguettes. There is a Rustic Rye which is made with 30% locally grown and milled flour, and the signature Border County Sourdough, named to reflect the bakery’s original location in the Scottish Borders, which also includes some Scottish flour. Currently, most of the flour used at the bakery comes from Shipton Mill, but they are working to include more local flour in their breads, with the aim of one day using only Scottish grown and milled flours. If the idea of red wine and chorizo sourdough or coconut milk, chilli, lime and coriander sourdough has your mouth watering, then The Little Sourdough Bakery could be the place for you. This small bakery produces a range of interesting and innovative sourdoughs, alongside the usual whites and ryes. The bakery uses local and ethically produced ingredients wherever possible. This includes using Orkney beremeal (flour made from an ancient variety of barley) in some of the loaves. And if you’re inspired to have a go at making your own sourdough breads, Vicky the baker offers taster workshops. 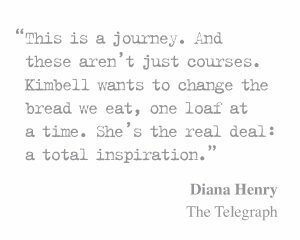 Loaves can be ordered for delivery in Glasgow, or to be picked up from the bakery. After four years of delivering home baked bread to customers within a mile of her kitchen, Elisabeth Mahoney is planning a bread revolution. With two new branches of the One Mile Bakery opening early this year, and further bakers being sought to spread the one mile ethos across the country. The bakery offers weekly bread deliveries. Choose either yeasted or slow fermented sourdough bread, or a mixture of the two. The sourdoughs, ranging from classics like Pain au Levain and San Francisco Sourdough, to Hazelnut & Shallot and Spiced Cheese & Herb, are made using flour from mills in Wales and the Cotswolds. Everything is hand made at home and delivered by bike. While deliveries are limited to a one mile radius around the bakery, as more branches open you may well be able to place an order very soon. A small bakery specialising, as the name suggests, in sourdough and supplying outlets in Cardiff and Penarth. The range of loaves they bake includes a San Francisco sourdough, a chia buckwheat sourdough and a coriander rye sourdough based on the Borodinsky loaf. Breads are made using Shipton Mill flours, and baked late in the evening. You will find the bakers from Riverside Sourdough selling their breads at markets across south Wales – check their website for details. Share the post "25 British Bakeries Baking Great Sourdough Bread"
All a bit far away from me alas, the best I have found so far is the Forge Bakehouse in Sheffield – I did a sourdough course last year there with Martha and wish the place was less than an hour’s drive away for me! You’ve left out Peel and Stone bakeries in Birmingham. They make amazingly good sourdough bread. A pity they didn’t include the loaf in Crich and Matlock who make superb Sourdough. We live not far from Walk Mill. Great flour. The cafe is very good, with fresh bread on sale. The miller will explain the process to you. My grandson really enjoyed it. It’s in a beautiful spot, with walks all around. I can vouch for the Loaf bakery in Birmingham, it’s a great place. After trying for several months to bake good sourdough, I went on their sourdough course – it was brilliant and solved all the problems I was having. Highly recommended. I’d also recommend Rex Bakery in Little Chalfont (near Amersham) http://www.rexbakery.com. I’m just eating a slice of their Pan Gallego, having been too lazy to make my own loaf this week, and it’s delish! Peter Cooks Real Bread bakery at The Hop Pocket, Bushops Frome, Worcester is fantastic! They deserve a mention for this part of the world. Also missed off Hambleton Bakery in Rutland – Julian Carter, Britain’s Best Baker (ITV) and Baker of the Year (Bakery Industry Awards 2013). They have a new shop in Oundle, not that far from you!